This was the first major SEO/SEM conference I’d been to, and it didn’t disappoint. Outside of the awesome information flowing through each session, it was a real pleasure to meet some of the folks I’d been reading and following around the net for the past several years. The networking opportunities were worth it alone. 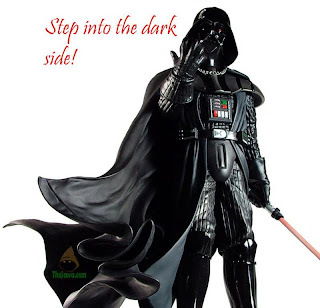 And, now that I’ve had a few days to reflect on it, I know now that there is a real “dark side” out there in the SEO world. Let me explain. I’d always considered myself ethical and moral (not exactly a “virgin” white hat, but a nice shade of off-white) when it came to my SEO: I’d look to cut some corners, be a smidge sneaky when it came to optimizing, and take advantage of as many search weaknesses as possible, as long as it was in the Google/Search Engine Playbook. But, never in my wildest imagination did I think the Black Hats were as strong as they are, nor as simply creative as they are. Jay Young, of Link Fish Media, had a quote that I didn’t necessarily think pertained to SEO, but always felt like it should be said, “SEO isn’t about morality, it’s about money.” And, really, in a nutshell, that’s what is all about. Yet, that being said, I can’t justify nor condone the attitude, the behavior, of some of the things I heard at the “Blow Your Mind Link Building” session or the “Give It Up!” session. Some of those techniques were just downright dastardly and could potentially destroy businesses. And, perhaps I have a weak constitution when it comes to being “dark”, but I could never do some of those things, even if I knew it would bring successes to my clients. I think the Developer Track was excellent, and out of the Organic track, the “Analytics Every SEO Needs To Know” and “International SEO” were tremendous. Tons of incredible information those two sessions that can really help businesses struggling to justify SEO/SEM/SMO to their clients. I will say this: at least I know they exist and what techniques other might be using against me. I have knowledge of it now, and it makes me wiser to the games others might be playing. Was SMX Advanced advanced? Yes. Was it advanced in a way that would be applicable to “White Hat SEOs”, no. It wasn’t. That’s the sad truth. If you can, check your morality and business ethics at the door, then this conference was a gold mine. If you can’t or won’t, then you’re like me, and found some useful things, but none that you’d be willing to risk a client site over, or your job over. The best part of working at Aloha Digital Marketing, is that I have a team dedicated to same principles of clean SEO that I subscribe to. Again, I never claimed to pristine and virginal; I want to maximize as many advantages as possible, I want to build my clients’ businesses along with our own, but I want to do it in clean, ethical, and moral manner. SMX Advanced was quite informative, excellent place to meet and network, but not enough “White Hat” I can really take back and apply to my clients’ sites. Unfortunately, I don’t have the luxury of “burning” a site or two in pursuit of rankings and conversions. And, my guess is, neither do most of you. So, my hope is that next year, there will be ONE Give It Up, not several Give It Ups under the guise of “White Hat” Sessions. Matt Cutts: Google’s New Moral Compass? Matt Cutts: Google’s Moral Compass? At SMX Advanced today, at the Y & A with Matt Cutts (moderated by Danny Sullivan), Matt was asked how he feels being the “moral compass” for Google. This was in the context of the money.co.uk hoax article. The only way to get above the map results(definitely a click killer) is to…..pay for a PPC listing. Now, SEOs are not PPC experts(largely). On-site optimization of as much content as you can effect. PPC is, in my estimation, an excellent and reliable quick strike tool. It’s for the instant impact clients’ need to have to build brand awareness and site traffic while the SEO portion builds solid content and backlinks. It’s my opinion that PPC spends should increase after 3 months. By that time, SEO efforts should be bearing fruit in organically, and you’ll have plenty of data to weed out the non-performers and boost the high CTR and conversion-producers. Why increase? Because if you do a good job on-site for your best converting keywords and long-tails, you’ll increase your Google Quality Score and be able to achieve the same position at a lower cost. Will This Technique Matter in 3 Years? The question is, do I really believe this is going to work anymore? For the time being, yes, I do. 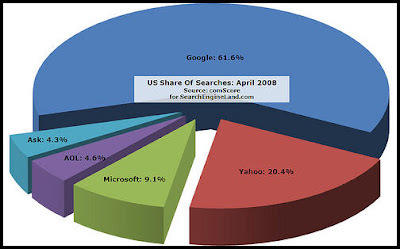 I think SEOs and Search Marketers have about 2 and half to 3 years before the shift happens. Danny Sullivan wrote a very extensive and informative post on SEL about Search 4.0. I think we’ve got just about that timeframe before personalized search turns SERPs and SEO on it’s head. I think the only way for Yahoo to survive is to team-up (read “be bought in a hostile takeover”) with Microsoft. And, let’s face it, Microsoft needs help with search and Paid Ads solutions. They’ve always been a “Johnny-Come-Lately” with every application (yes, even Webmaster Center and Local Live). And, while Yahoo also isn’t up to snuff on the Paid Ads, their search capability and seeming transparency (Search commands: there is a reason that we all use Yahoo! to find the true number of anything on the web) is something Microsoft needs to latch on to in order to have a snowball’s chance in hell against Google. Right now, I’m advising my whole team to get familiar with every application Google has to offer. Know the ins and outs of each application. And as for AdWords, well, it’s taking over. My prediction is that before the year’s end, Yahoo will be delivering over 25% of Google Ads. And, two years from now, if they haven’t teamed up with Microsoft, they’ll be over 75% Google Ads. And in 3 years, Sponsored Search/Panama will be nothing but a sad memory, a failed experiment swallowed by Google. The new way to compete, and I hate to admit it, will be GRAY SEO. Personalized search is going to force everyone to find the shadow-advantages to be the MOST RELEVANT web page in a particular niche. So that, the woman in New Mexico and the guy in Montana both see your client as the one of the most relevant pages for the search they’re conducting. To compete, Search Marketers will have to be savvy in all things, not simply SEO, because SEO as we know it today just won’t exist. It’s going to be a hybrid, a chimera of each engines’ applications.